In the New World, as early as 1512, black slaves had escaped from Spanish and Portuguese owners and either joined indigenous peoples or eked out a living on their own. Sir Francis Drake enlisted several ‘cimaroons’ during his raids on the Spanish. As early as 1655 runaway slaves had formed their own communities in inland Jamaica. When runaway slaves banded together and subsisted independently in the wild they were called Maroons. On the Caribbean Islands runaway slaves formed bands and on some islands formed armed camps. Maroon communities faced great odds to survive against white attackers, obtain food for subsistence living, and to reproduce and increase their numbers. As the planters took over more land for crops, the Maroons began to vanish on the small islands. Only on some of the larger islands were organized Maroon communities able to thrive by growing crops and hunting. Here they grew in number as more slaves escaped from plantations and joined their bands. Seeking to separate themselves from whites, the Maroons gained in power and amid increasing hostilities, they raided and pillaged plantations and harassed planters until the planters began to fear a mass slave revolt. 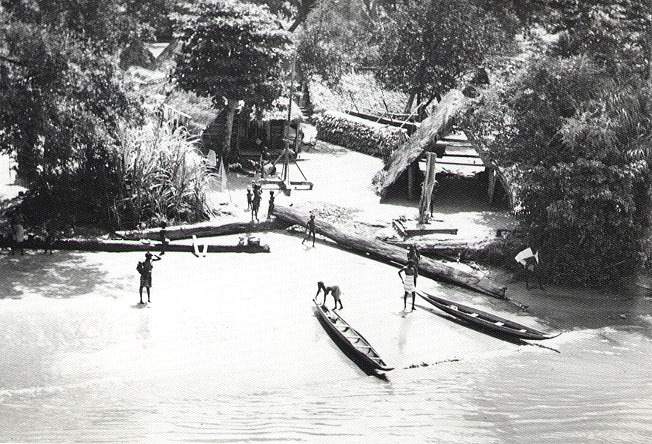 The early Maroon communities were usually displaced; as sugar cane plantations expanded the jungle was cut down. By 1700, Maroons had disappeared from the smaller islands. Survival was always difficult as the Maroons had to fight off attackers as well as attempt to grow food. One of the most influential Maroons was François Mackandal, a houngan, or voodoo priest, who led a six year rebellion against the white plantation owners on Hispaniola. In Cuba, there were maroon communities in the mountains, where escaped slaves had joined refugee Taínos. Maroon communities emerged in many places in the Caribbean (St Vincent and Dominica for example), but none were seen as such a great threat to the British as the Jamaican Maroons. A British governor signed a treaty promising the Maroons 2500 acres in two locations, because they presented a threat to the British. Also, some Maroons kept their freedom by agreeing to capture runaway slaves. They were paid two dollars for each slave returned. Escaped slaves were frequently within the first generation of their arrival from Africa and often preserved their African languages and much of their culture. The jungles around the Caribbean Sea offered food, shelter, and isolation for the escaped slaves. Maroons survived by growing vegetables and hunting. They also originally raided plantations. During these attacks, the maroons would burn crops, steal livestock and tools, kill slavemasters, and invite other slaves to join their communities. Individual groups of Maroons often allied themselves with the local indigenous tribes and occasionally assimilated into these populations. Maroons played an important role in the histories of Brazil, Suriname, Puerto Rico, Haiti, Cuba, and Jamaica. Maroon settlements often possessed a clannish, outsider identity. They sometimes developed Creole languages by mixing European tongues with their original African languages. One such Maroon Creole language, in Suriname, is Saramaccan. Beginning in the late 17th and early 18th centuries, Jamaican Maroons fought British colonists to a draw and eventually signed treaties in the 18th century that effectively freed them. The First Maroon War is the name given to a protracted conflict in Jamaica which reached a crescendo in 1731. Following the flight of the Spanish colonists following their defeat by the English in 1655, the Africans they had enslaved joined others who had previously escaped slavery in the mountainous centre of Jamica to form Maroon communities. The British forces had failed to establish control over the whole of the island, a large portion remaining in the hands of the Maroons. For seventy six years, there have been periodic skirmishes between the British and the Maroons, alongside occasional slave revolts. In 1690 one such revolt in Suttons, Clarendon led to a sustainable autonomous community of about 150 people in the south of Jamaica for several decades.